SEATTLE (AP) — The Mariners’ offensive woes have been the chief culprit for their fall from AL playoff contention. Those struggles showed up again Tuesday night, only furthering Seattle’s fade from the wild-card race. The Mariners only have 18 games left after losing to the Padres for the third time in the past month. It was the 11th time since July 1 the Mariners scored one run or fewer. Not surprisingly, they dropped to 1-10 in those games. “Story of tonight, just our lack of offensive production. We haven’t done much at all swinging the bats against San Diego this year,” Seattle manager Scott Servais. While Seattle’s hitters failed to come through with scoring chances, Myers got the better of the best closer in baseball this season. Myers lined an RBI double off Diaz to snap the 1-1 tie. Diaz (0-4) struggled without having a chance at his 55th save and left pitches up. He gave up singles to Hunter Renfroe and Eric Hosmer leading off the inning. After a strikeout of Franmil Reyes, Myers jumped on the first pitch and pulled it into the left field corner, letting pinch-runner Travis Jankowski score easily from second. Seattle had runners at second and third and no outs in the seventh and failed to score, and loaded the bases with two outs in the eighth inning and failed to score again. Cameron Maybin, who doubled in the seventh, couldn’t come through in the eighth against Craig Stammen (8-2), flying out to the warning track in right to end the threat. “In those situations, you’ve got to get your pitch to hit, and we didn’t do anything with it,” Servais said. Robinson Cano’s solo home run in the third inning was Seattle’s only run. Gonzales was on a limited pitch count but made the most of his five innings, allowing just four hits and one run before departing after 66 pitches. He struck out two and limited any damage to Reyes’ RBI infield single in the fourth inning. San Diego starter Bryan Mitchell was even better. Making his second start after missing four months due to an elbow injury, Mitchell allowed four hits over six innings. His lone mistake was the changeup he left up in the zone that Cano hit out to center field. Mitchell retired 10 of the final 11 batters he faced. Padres: Rookie 2B Luis Urias injured his left hamstring to beat out a grounder in the eighth inning. Urias pulled up just before he reached first base and had to be helped back to the San Diego dugout. Padres: San Diego added infielder Javy Guerra and pitchers Kazuhisa Makita, Colten Brewer and Brad Wieck to its active roster. Manager Andy Green said Guerra would get some time at shortstop in the closing weeks. Mariners: Seattle’s expanding roster added right-handers Matt Festa and Nick Rumbelow from Double-A Arkansas, along with reinstating Gonzales from the DL. Rumbelow and Festa both had brief stints with the Mariners earlier in the season. Seattle now has 38 players on its active roster. 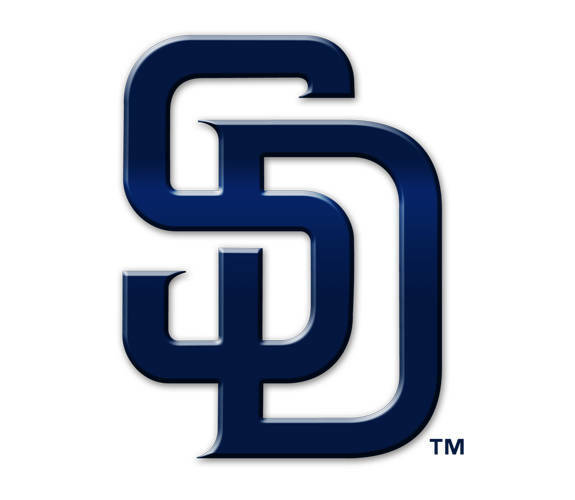 Padres: Lefty Joey Lucchesi (7-8) will make his 23rd start of his rookie season. Lucchesi allowed one run over 6 2/3 innings in a victory over Seattle last month. Mariners: Lefty Wade LeBlanc (8-3) will make his 23rd start and has not allowed an earned run in his last 18 innings pitched. LeBlanc has thrown at least six innings in his last three starts. DP_San Diego 1. LOB_San Diego 6, Seattle 9. 2B_Mejia (1), Renfroe (22), Myers (19), Seager (33), Maybin (13). HR_Cano (8). SB_Myers (9). Umpires_Home, Jerry Meals; First, Ed Hickox; Second, Gabe Morales; Third, Ramon De Jesus.